Alanna, a 100% natural and vegan skincare brand introduces #notjustcharcoal range, a skin-care retreat made with the goodness of activated Charcoal. The range includes a Soap and Deep Cleansing Face-Pack, both handcrafted with Charcoal as the central element. Ms. Rashi Mehra, Founder, Alanna believes that though charcoal is a very effective ingredient and has gained popularity amongst customers, just charcoal as an ingredient is not enough for an optimum skincare regime. Plus it can be a bit harsh for the sensitive skin. An effective product requires more, keeping this in mind she curated unique recipes for soap and face pack, where she blended activated charcoal with green tea extracts, olive oil and lavender, thus re-inventing the wheel of the entire charcoal-based skincare establishment. Making it ideal for the most sensitive and even teen skin. All ingredients that go into the making of Alanna is obtained from the lap of mother-nature. Similarly, this detoxifying range comprising of a handmade soap and face pack that is free of sulphate and other chemicals. With activated charcoal being the universal element in both the products, there are distinct components that add to the effectiveness of the formulations. The soap is mild and made of Charcoal, which is proven to be an effective cleansing agent, helps removing dirt and excess oil from the pores, de-tans the skin and gives an instant glow. On the other hand, green tea contains catechins which are antioxidants in nature. These catechins work effectively on skin inflammations and related infections and defend the skin from such infirmities. Olive oil effectively works on wrinkles and fine lines, thus working as an anti-ageing formula on the skin. The deep cleansing face mask enriched with activated charcoal and other ingredients like Aloe Vera and Lavender extracts is effective in deeply cleansing the skin, reducing acne, tanning issues and heavy skin pigmentation. Apt for sensitive skin, the face mask does not cast any unwanted reactions or blemishes. Other organic ingredients ensure that there is no sort of irritation experienced. It is extensively effective in thoroughly cleansing the skin, removing clogged pores and brightening up the skin by reducing the effects of tanning. It also helps in making the skin clearer, devoid of any impurities and efficiently fighting away heavy skin pigmentation. Charcoal also detoxifies the skin besides removing blackheads and gently exfoliating the skin. 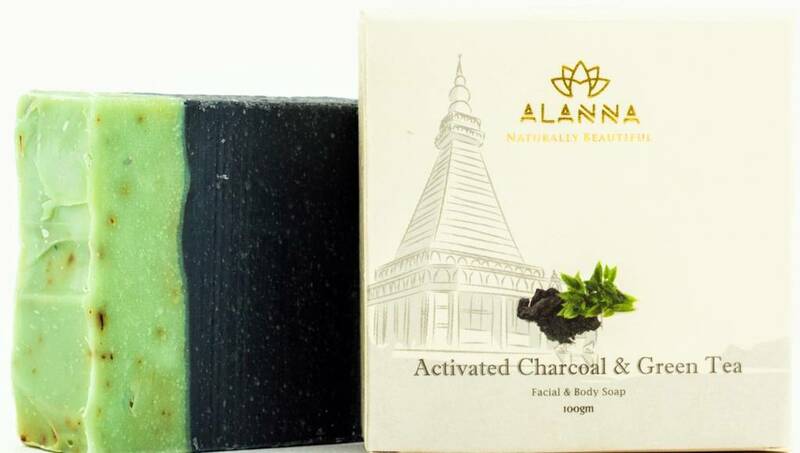 Just like all Alanna products, the #notjustcharcoal range is handmade, 100% natural, Sulphate free, Paraben free, Cruelty-free and PETA approved and is apt for the post-holi cleansing ritual as well as regular skin maintenance.